Npower Recruitment 2017: FACTS to Note - N-Power is also linked to the Federal Government’s policies in the economic, employment and social development arenas. 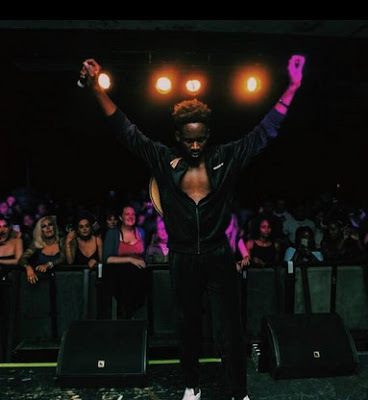 The Federal Government has appointed two music acts, Timi Dakolo and Mr Eazi, as well as Saadatu Aliyu of the World Economic Forum’s Abuja Global Shapers Hub as anti-tobacco ambassadors. Npower Recruitment 2017 | Application Guide and Requirement – portal.npower.gov.ng. Do you want to see all the registered/government authorised travel agencies in Nigeria? Know the cheapest and best travel agencies you can get travel information or visa gyid from. Dammy droped a new track to celebrate his release from prison. Download on point by Dammy krane audio or video now. Know latest about www.portal.npower.gov.ng is the official website of N-POWER NEEDS YOU - The Federal Government of Nigeria has designed the N-Power Programme to drastically reduce youth unemployment. How To Register For IPPIS Data Capture And Verification - PPIS is a Department within the Office of the Accountant-General of the Federation responsible for payment of workers salaries and wages directly to Government employee’s bank account with appropriate deductions and remittances of 3rd party payments such as the Federal Inland Revenue Service, National Health Insurance Scheme, State Boards of Internal Revenue, National Housing Fund,Trade Unions Dues, Pension Fund Administrator, Cooperative Societies, Association Dues and Bank Loans. Learn more about Car Insurance Quotes online and how to get the best quote. If you just bought a brand new car, or simply looking out to change your current insurance carriers or you are merely shopping around for cheap car insurance quotes, then, buying an auto insurance quotes online from any reputable auto insurance company is paramount and that can be done at ease provided you don’t fall within the high risk category. In spite of the growing concerns by some sections in Nigeria over the claims of a cure for the dreaded Human Immunodeficiency Virus and Acquired Immunodeficiency Virus (HIV/AIDS) that have for years eluded erudite scientists all over the world. The Federal Government has mandated the National Institute for Medical Research and the College of Medicine, Ibadan to do proper study of the two claims to HIV cure in the country. 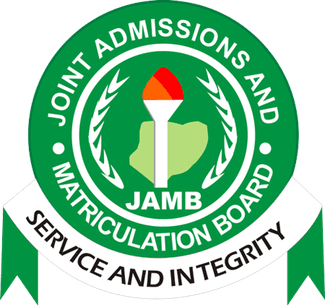 The Joint Admissions and Matriculation Board, jamb, last year agreed to a new Post-UTME suitable screening system for all candidates looking into different high schools in Nigeria. It was called jamb Point-System. Balfor Recruitment 2017 – on this article you will get latest updates on Balfor Recruitment Requirements, Qualifications, Guidelines and other important updates for free. www.pencom.gov.ng: National Pension Commission Recruitment 2017- Apply Here - This is good news for the all interested applicants that the National Pension Commission Job recruitment for 2017 has commenced. The job recruitment exercise can be submitted through the National Pension Commission (PENCOM) recruitment portal. What are the application guide and requirements, what about how to apply? All will be seen here as you read further. Nigerian Immigration Service (NIS) 2017 Recruitment Portal is now open for applications - This is to inform the general public that there was a newspaper publication on May 22, 2017 which announce the Nigeria Immigration Service commencement of recruitment of staffs to fill various job positions to increase work force to help fight crime in the country. Apply For Npower 2017 Recruitment | 2017 Npower Application Portal - www.npower.gov.ng - This is to inform the general public that the N-Power would reopen her portal on June 13th, 2017 for new intakes. Lets share on how to have hitch free application. www.cbn.gov.ng: Central Bank of Nigeria (CBN) JOB RECRUITMENT – APPLY HERE - The Central Bank of Nigeria (CBN), the apex bank in the country has commenced it online job application recruitment for 2017 nationwide. The National Information Technology Development Agency (NITDA) has commenced it online job application recruitment for 2017 nationwide. Shell Nigeria 2017/2018 Nationwide Graduate Trainee Recruitment - At Shell, are developing all kinds of ideas to help meet the growing demand for energy and are looking for ambitious students and graduates to help them do more. Osinbajo Orders Reopening Of FG N-Power Job Portal to Allow More Unemployed Nigerians Apply - Acting President Yemi Osinbajo has directed that the online portal of the government’s job initiative, N-Power, be reopened June 17 to allow more unemployed Nigerians apply, the Minister of State, Budget and National Planning, Zainab Ahmed, has said. Mrs. Ahmed advised youth to apply for the Federal Government’s National Social Investment Programme (N-SIP). She told the News Agency of Nigeria (NAN) in Abuja on Thursday that the government would scale up the N-SIP to accommodate more beneficiaries. N-SIP is a federal government programme aimed at reducing poverty and improving livelihoods of vulnerable groups such as the unemployed youths, women and children. The government says the programme has so far empowered over 1.6 million Nigerians through its four components, namely; N-Power, National Home Grown School Feeding Programme, Conditional Cash Transfer, and Government Enterprise and Empowerment Programme. The minister said each component of the programme would be scaled up this year. She said Mr. Osinbajo had directed that the online portal should be reopened on June 17 to give Nigerian youth opportunity to apply for the next batch. “There is opportunity in the N-Power Programme for employment,” she said. “There is opportunity in the GEEP for you to get finances to be able to start businesses. The minister said the process was delayed initially because of the effort to eliminate fraudulent applicants and to make the process transparent. She said the programme had not been able to attain its set target because of the delay in starting its actual implementation. “The deployment, release of funds didn’t start till October 2016 and it is so because we want to make sure that the programme is planned properly. “We want to make sure that each beneficiary has bank account linked to BVN; we are targeting the right people, not just people nominated by big people. “That took a lot of time but we thank God that the programme is going on well and it is now easier to upscale it,’’ the minister said. Mrs. Ahmed said the programme was showcased at the second year commemorative event of the Federal Government under President Muhammadu Buhari on May 29. “ Prior to now, we are getting a report on paper that shows the number of beneficiaries but we have seen and heard the testimonies of the beneficiaries at the event,’’ Ahmed said. Candidates must possess MBBS qualification (Primaries) and must be registered with Medical and Dental Council of Nigeria with current practicing license. Candidates must be registered with relevant professional body(ies) and must current practicing licences. B.Sc/HND in Library and Information Science. Must have completed the National Youth Service Corps or exemption certificate. 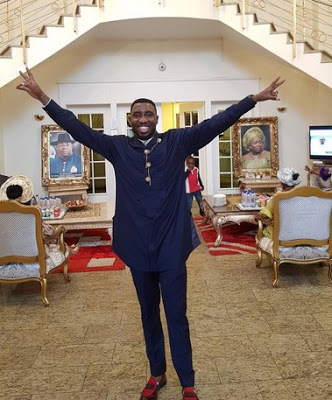 Must possess at least a Senior Secondary School Certificate. Departments: Radiology, Haematology, Chemical Pathology, Morbit Anatomy/Histopathology/Forensic Pathology, Internal Medicine, General Surgery, Paediatrics, Anaethesia, Microbiology. Must be Medically qualified, must be a Fellow of either the National or West African Post Graduate Medical College or its equivalents registerable by the Medical and Dental Council of Nigeria. Candidates must possess at least 4 publications in reputable International and National Journals. Department: Radiology, Haematology, Chemical Pathology, Morbit Anatomy/Histopathology/Forensic Pathology, Internal Medicine, General Surgery, Paediatrics, Anaethesia, Microbiology. Candidates must possess at least 6 publications in reputable International and National Journals. Candidates must possess at least 16 publications in reputable International and National Journals. Interested and qualified candidates should forward their detailed Curriculum Vitae including copies of credentials (15 Copies), Names and addresses of three (3) referees. Candidates are required to pay Five thousand Naira (N5,000) Naira non refundable fee to IMSUTH Zenith Bank Account Number: 1012189341. 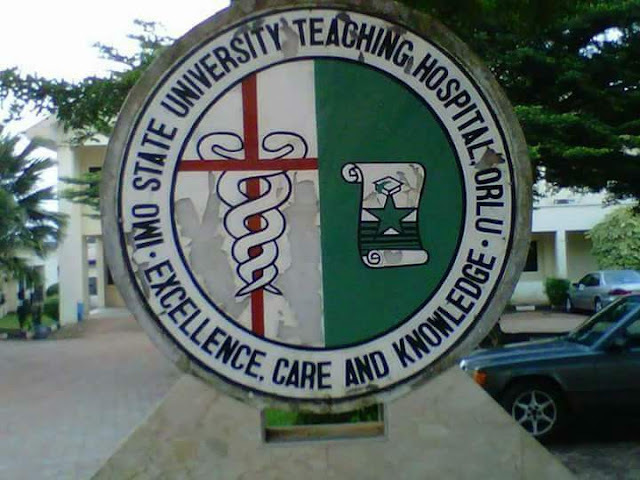 Applicants should please request their three (3) referees to forward references on their behalf directly to the Chief Medical Director Imo State University Teaching Hospital, Orlu. PMB 08, Orlu, Imo State. 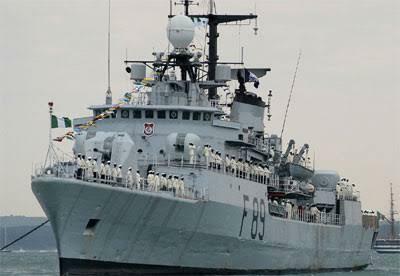 Nigerian Navy Needs $250m to Refit ARADU - Ibas - Indications emerged Friday that the nation’s only multi-roles Frigate, Nigerian Navy Ship (NNS) ARADU might never go to sea again. Controversial 2017 Big Brother Naija contestant, Gifty, who is getting some back lash for saying she no longer pick Soma’s callsbecause she is too busy for him has shared a hot pool photo. “People talk about you negatively or positively because they consider you as a subject of concern. So just relax and let the world talk about you cuz’ your Image matters a lot..
NPower recruitment 2017 and how to apply: You are about to get a complete guide on Npower Job requirements, qualifications, and application form procedures.